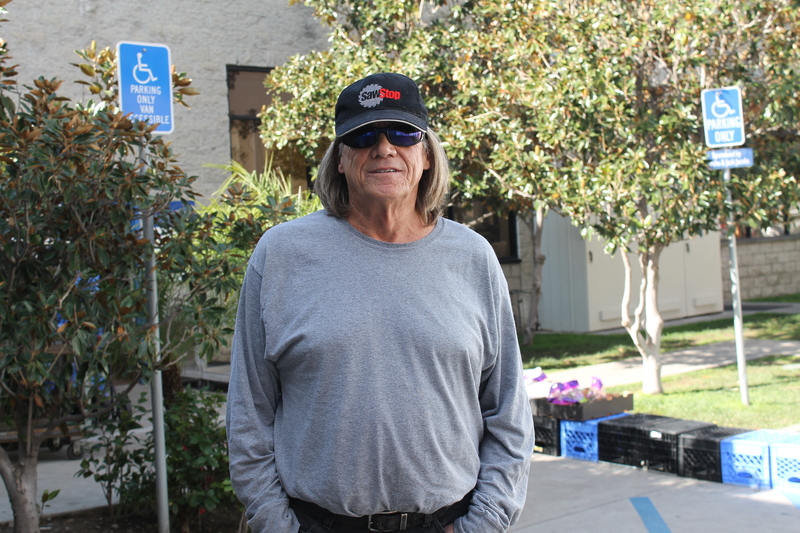 Rex became acquainted with Interfaith after living on the streets in Oceanside for nearly eleven months. Prior to losing his home, Rex had been working as an on-site property manager – living in and handling maintenance issues for a building an Oceanside. However when the property sold, Rex was given a 90-day notice, which simply wasn’t enough time to continue to pay his bills while saving up for rent and a security deposit on a new place to live. When the time came to turn over his keys, he had no where to go. Thankfully, Rex’s brother knew someone who was familiar with Interfaith Community Services and recommended that he visit the Oceanside Service Center. Because of his years in the military, Rex qualified to moved into one of Interfaith’s shelters for veterans while he looked for a new job, home, and rebuild his savings. While living in Merle’s Place, Interfaith’s shelter for veterans located at its Escondido headquarters, Rex was able to save up enough money to purchase a work truck that he could use for future construction jobs. Serendipitously, during this time Interfaith was in the middle of construction on its new Hawthorne Veteran and Family Resource Center, located just a few miles from Merle’s Place. With a little help from his case manager, Rex was able to gain contract employment with construction company Johnson & Jennings to work on the project. When construction wrapped in October 2015, Rex was hired on full-time by Johnson & Jennings, due to his expertise of the field and hard work ethic; he continues to work with the company today.